Wat is dit voor site? 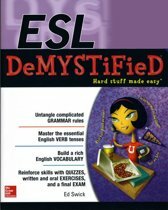 Wij zoeken de goedkoopste boeken op internet. 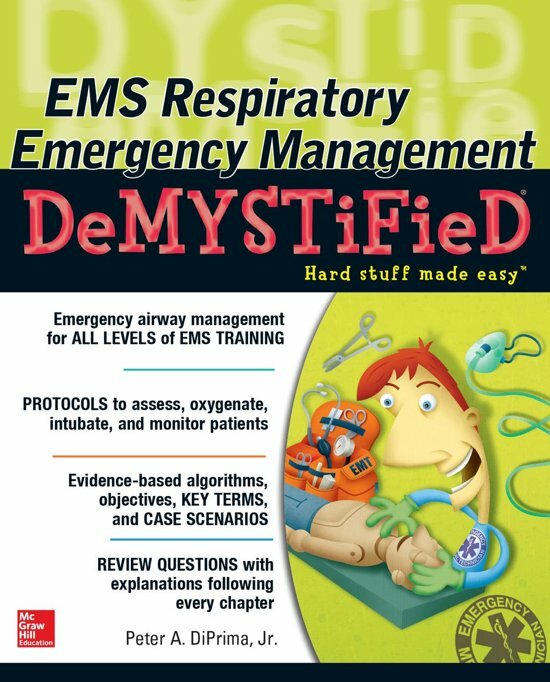 EMS Respiratory Emergency Management DeMYSTiFieDvonden we het goedkoopst op Bol.com voor €19.99. We hebben gezocht in nieuwe en tweedehands boeken. Rechtsonderaan de pagina kan je het boek direct bestellen	via Bol	.com. 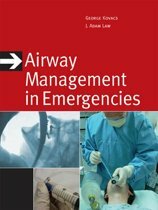 If you're looking for a fun, fast review that boils emergency airway and respiratory management to its most essential, must-know points, your search ends here! EMS Respiratory Emergency Management Demystified is a complete yet concise overview of the basics of performing this critical procedure. 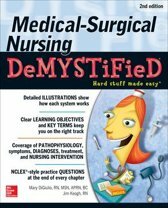 This guide gives you the knowledge to help your patients as a student and as an EMT or paramedic once you start your career. You will learn how to perform an assessment of a patient's airway, manage his or her ventilation, utilize RSI, use best practices for special patient populations, and more. 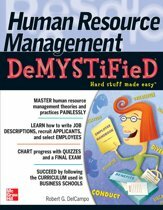 Studying is easy and effective with key objectives, important terms, brief overviews, tables and diagrams, and Q&As throughout the book. Simple enough for a student, but comprehensive enough for a professional, EMS Respiratory Emergency Management DeMYSTiFieD is your shortcut to mastering this essential, often life-saving topic.